Roast Rack Of Pork For Easter. Are you looking for a nice and tasty Sunday roast idea? Roast rack of pork anyone? 1. Preheat the oven to 220°C, gas mark 7. Pat the meat dry with some kitchen paper and place on an oven rack that will fit over a large roasting tin. If you are going to eat the crackling (optional), score the skin and rub with 2 tsp of Maldon sea salt. 2. Arrange the apples and bay leaves in the base of the tin and place the rack with the pork over them. Roast for 10 minutes then lower the temperature to 180°C, gas mark 4 and cook for a further 1 hour 10 minutes to 1 hour 30 minutes, or until the juices run clear and there is no pink meat. 3. Set the meat aside, cover and keep warm. Using a slotted spoon, transfer the apples to a bowl, discarding any darkly coloured pieces as well as the bay leaves, leaving the sticky meat juices in the pan. Beat the apples with a wooden spoon until they just start to break up. Mix in the sugar and a small knob of the butter (about 10g) and season. Keep warm while you make the gravy. 4. Warm the roasting tin and its contents over a high heat. When hot, add the Marsala and boil for 1-2 minutes or until almost completely reduced. Add 250ml hot water and continue boiling for 3-5 minutes or until reduced by half. Whisk in the remaining butter. Sieve the sauce to remove any lumps. Remove the crackling and slice the meat thickly. Serve with the sauce, gravy, crackling, steamed broccoli and roast potatoes. 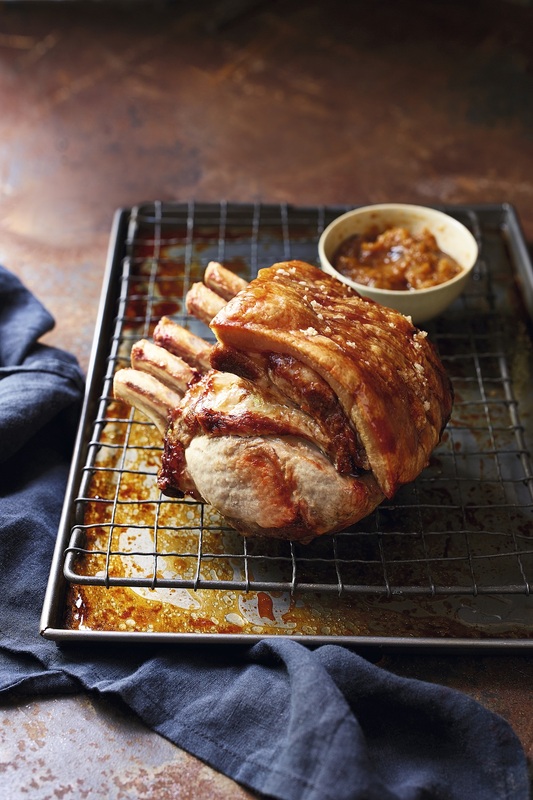 What do you think of this Roast Rack Of Pork recipe? "My Top 10 Spring Cleaning Tips And Dr Beckmann Product Review"
"BerryWorld Mixed Berry Pavlova For Easter"